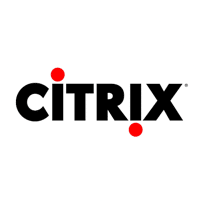 Citrix (NASDAQ:CTXS) aims to power a world where people, organizations and things are securely connected and accessible to make the extraordinary possible. Its technology makes the world’s apps and data secure and easy to access, empowering people to work anywhere and at any time. Citrix provides a complete and integrated portfolio of Workspace-as-a-Service, application delivery, virtualization, mobility, network delivery and file sharing solutions that enables IT to ensure critical systems are securely available to users via the cloud or on-premise and across any device or platform. Citrix’s development team uses InfluxData’s InfluxDB to create a custom monitoring application for JIRA and GitHub. This application has become the go-to starting point for developer standups and can be accessed from anywhere on their intranet and displayed in a browser. With InfluxDB’s schema-less nature, they can store whatever they want, however they want, with no schema upgrade required. Using InfluxDB and Grafana, they use this solution to help them to reduce the number of open tickets and the number of open pull requests.